Designed specially to suit ATV/Small tractors. 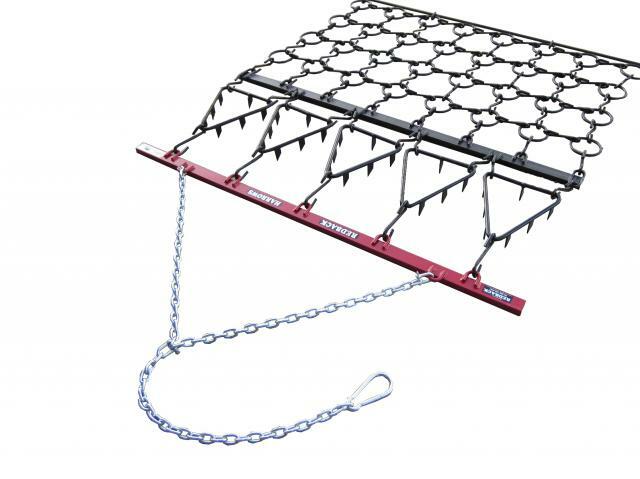 These ATV Harrows are Redback's number one seller. Aggressive spikes in the front half of this design smash into muck and break it down, while the back half evenly spreads and finishes. Ideal for the ATV user for dung spreading, harrowing/aerating, break feeding, finished cultivation, sand tracks/arenas and more. Order now and watch your grass growth rise! 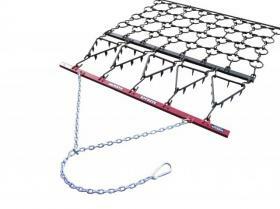 Featuring 1.7m depth, 16mm Triangles, 12mm Chain, High grade steel, wear resistant. Ask about our free delivery and free warranty on this machine! Wanting extra weight? Simply add some drag weights - click here to learn more. Scroll down to watch in action!